You love displaying your prized collections but want to keep them behind closed doors. With this model now you can. 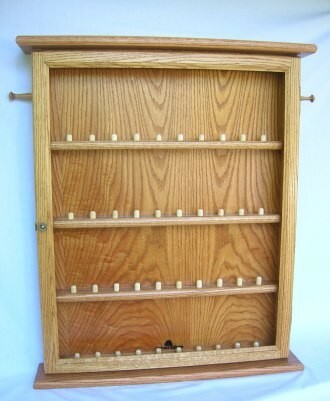 This beautiful wall hung display case is handcrafted out of solid red oak, holds 40 calls, has 2 lanyard holders, and features a lockable glass door.